Battery impedance is a combination of internal resistance and reactance where internal resistance + reactance, or (L+ C), equals impedance when using an ac stimulus. The internal resistance of a battery is made up of two components: electrical, or ohmic, resistance and ionic resistance. Electrical Resistance is a measure of the opposition to current flow in an electrical circuit whereas ionic resistance is a measure of opposition to current flow due to internal factors such as electrode surface area and electrolyte conductivity. 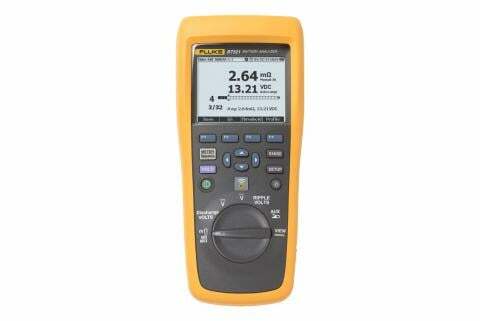 Internal ohmic values (AC resistance) can be useful as a trending tool and can help to indicate the overall health of a battery being measured. 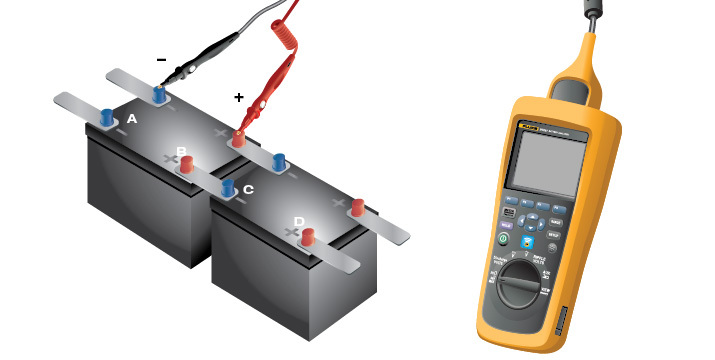 This AC resistance can be measured using an "injection method" by where a small current, 1000Hz AC for example, is injected into the battery. Then, any variations are calculated using Ohm’s law. A lower internal resistance generally indicates a higher capacity; therefore an increase in internal resistance over time can indicate declining battery capacity, or degradation. Measuring the trend over time will indicate which cells are weakest, or abnormal. It is important to note, however, that internal resistance varies between different batteries and battery manufacturers.